Do not throw away the sugar, fermented or just boring to jam - it is perfect for baking gingerbread, muffins or cookies. Jam will give the dough a nice rich flavor - raspberry, cherry, strawberry and sea buckthorn. Varying grades of domestic preparations, you will be able to try different versions of baked goods. Try to cook the original gingerbread with a pleasant honey taste. 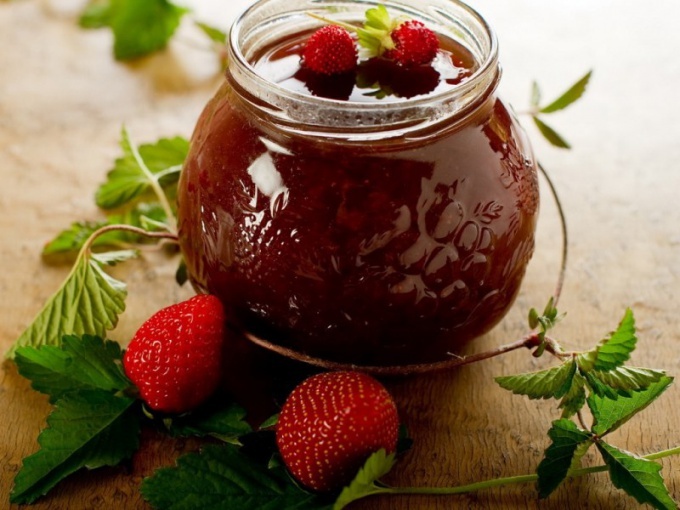 For baking won't need a honey - use fermented jam from any fruit or vegetables. The finished product can be decorated with icing, cream or sprinkle with powdered sugar. - 1 tablespoon of ground cinnamon. Brew strong tea, cool it and then mix with the marmalade, sugar and egg. All mix well and add soda, slaked lemon juice. Mix the sifted flour with ground cinnamon and chunks add it to the mixture of jam and tea. Mix well. For convenience, you can use a blender. Cover a baking sheet with parchment paper, impregnated with fat. Gently pour the dough on a baking sheet and place in oven preheated to 180oC. Bake gingerbread until tender. You can test it by sticking in the cake with a toothpick - it should not remain traces of the test. Put gingerbread on Board, cool and cut into small pieces. The surface can be sprinkled with powdered sugar. The color of the baking depends on the type of jam. If you use a piece of currant and chokeberry, the dough will be dark. From sea buckthorn or rhubarb can be cooked a light gingerbread. From the old sugar jam, you can bake a simple cake with sour cream. - 3 cups wheat flour. - 0.75 cups of sugar. In the dough, you can add candied fruits or finely grated lemon zest. Jam pour into a bowl, add soda and stir the mixture began to foam. Whisk the egg with sugar, then add it to the jam and stir in the milk. All whisk until smooth. Portions add to the mixture the sifted wheat flour. Smear the form with butter and pour in it the dough. Place pie in oven preheated to 200oC. Bake product until it is ready. While preparing the cake, make the sour cream. Whisk the thick cream with the sugar until crystals dissolve. Pie remove from the form and cool. Cover the surface of the sour cream, let the dessert stand for a bit, and then cut it into portions.